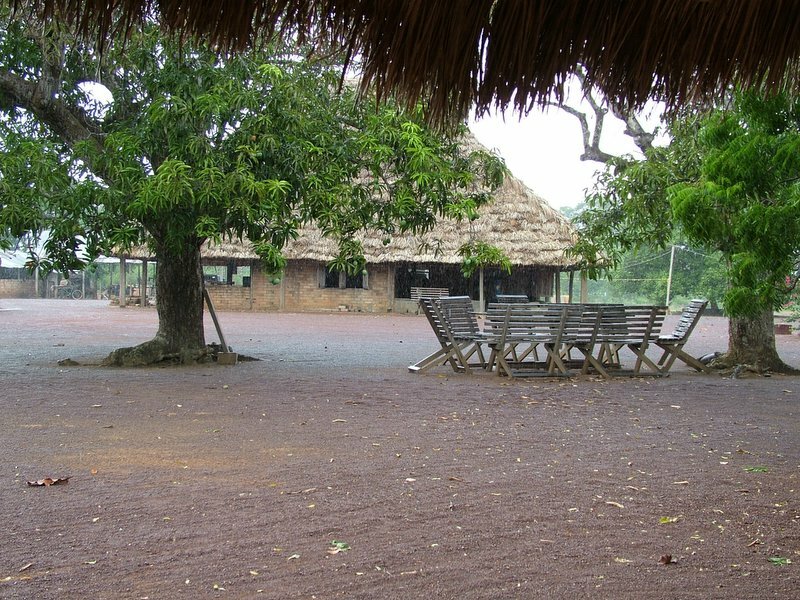 The remote settlement of Karanambu is located in central Guyana by the River Rupununi where the savannah grasslands meet the rain forest. The ranch is a basic eco-lodge, excellent for those who want to be at the heart of things, but not for those who like luxury. Guests stay in en-suite "cabanas" which are tradtional huts with verandahs. The welcome is warm and the food and drink plentiful and authentic. The river is the home of Giant River Otters, Black Caimans and the world's biggest fresh water fish the Arapaima. The grasslands are home to Giant Anteaters. The surrounding forests are bird-filled and local guides can be hired to help you find them. The ranch is operated by the Karanambu Trust (which promotes sustainable use of the area) and profits from guest-ovenights go to this worthwhile cause.